Ronaldo’s Madrid Bound – Now What? Manchester United and Real Madrid both confirmed today that a world record bid of 80 million pounds had been accepted by United for Christiano Ronaldo. So after a few years of will he won’t he it now seems that Ronaldo will be a Madrid player before July. Manchester United are losing one of the best players in the world, and there is no doubt that Ronaldo will be missed, and won’t be easy to replace. In truth a player of his current ability can only be replaced with two other players, Kaka and Messi, and neither will be at Old Trafford next season. So have United erred in letting the current World Player of the Year leave? The most important factor in all this is that the player wanted to leave. Ronaldo has known for a while that he would end up at Real and has refused to commit himself to United, giving ambiguous answers that best suited him and did nothing to appease the United fans. Rather than vilifying him, what United fans must realise is that while a lot of the world dream of playing for United, kids from Spain, Portugal and Latin America dream of pulling on the Real Madrid or Barcelona shirts. Ronaldo has always wanted to play for Real and players of his calibre generally get to pick their clubs. So while the move may not be the best for his career, and only time will tell, and few have succeeded after leaving Old Trafford, it is his dream move. There is little point in keeping a player who wants to go. The price tag, 80 million, is too good to turn down. When it became clear to United that Ronaldo wanted to leave, and he asked to, they had to try and get as much as they could. Following so close on Kaka’s move to Real it would have been hard to imagine that Real would be willing, or able, to pay the money being talked about in the press. But thy have agreed. United failed to get the maximum they could for Beckham when he left for Madrid, only taking into account his footballing worth, and not commercial worth. They haven’t made that mistake this time. With 80 million Sir Alex could buy a couple of super stars, or a host of potential stars, or a combination of both. So what should United do with the money? Replacing Ronaldo is impossible so United should look to do what’s best for the team. Firstly they should sign Tevez. Things have gone on so long that it seems more likely that Tevez will be leaving, but United can not afford to lose both Ronaldo and Tevez, and should do everything possible to convince Tevez he should stay. Most United fans would have chosen keeping Tevez ahead of Ronaldo if asked in the last month. Hopefully those that deal with such things at United will get that right. So which players should be targeted after the Tevez situation is sorted out? United need someone who will score the goals that Ronaldo assured them of each season. They will look at bringing in Benzema, who has been a long time target of there’s. However a better option now would be David Villa. Chelsea and Real have been linked with the Spanish hitman so United would have to move fast to get him, but he will be well worth the 30-40 million Valencia would ask for him. He guarantees goals and that’s what United need. Sergio Aguero, and Pato should also be looked at. Both will be among the best players in the world in the near future, with Aguero closer right now than Pato, but both will work for the future and present. Wide players who United should look at are likely to be Ribery and David Silva. The prices being asked for Ribery by Bayern are too high for the 27 year old, but like United and Ronaldo, Bayern may have a hard time keeping a player who wants to leave. United tried to buy Silva last season but they player wasn’t interested in leaving Spain. If that were to change Silva could be the ideal replacement for Ronaldo. Another name being mentioned is Madrid’s Robben. United were on the verge of signing him before he went to Chelsea. Fergie is a fan of the dutchman, and with Madrid looking to sell, United could be at the front of the line to bring him back to England. His injury record may be a concern though. While a host of big names will now be linked to United in the coming weeks, and while Fergie may bring in one or two of them, the more likely scenario is that United will buy Antonio Valencia from Wigan to play down the wing and push Wayne Rooney upfront, where he belongs. While United will miss Ronaldo, and any team would, his leaving may be the best thing for Rooney. Rooney has spent much of his time at United doing whatever job he’s asked to do, and his done it with no complaints. He’s spent much of the last few years out on the wing. Rooney is a forward and needs to be playing there to reach his true potential. This may be his chance to finally get to cement that position, and take him forward on his quest to be the best in the world. Ronaldo is most likely gone but United can be stronger for it, if they use the money and personnel wisely. It should be an interesting few months. Manchester City have stepped up their chase for Arsenal striker Emmanuel Adebayor. Chelsea are planning for life without Didier Drogba by moving for Atletico Madrid striker Sergio Aguero. Chelsea’s £25million move for Zenit St Petersburg’s Portugal midfielder Danny has been dealt a serious injury blow. Fulham boss Roy Hodgson has lined up a move for FC Twente’s Austria striker Marko Arnautovic. Angry Patrice Evra has accused Cesc Fabregas and Arsenal of trying to kick him out of the Champions League final. Bayern Munich want Portsmouth’s England right-back Glen Johnson. Manchester City are ready to offer Aston Villa midfielder Gareth Barry £19million in wages to tempt him to Eastlands. Arsenal are ready to launch a club-record move for Blackburn striker Roque Santa Cruz. Aston Villa are set to make another move for David Bentley of Tottenham. Everton are closing in on a £12million deal for Sporting Lisbon midfielder Joao Moutinho. Manchester United want Charlton’s England youth defender Carl Jenkinson. Leicester boss Nigel Pearson is ready to sign Hibernian’s Polish goalkeeper Grzegorz Szamotulski. 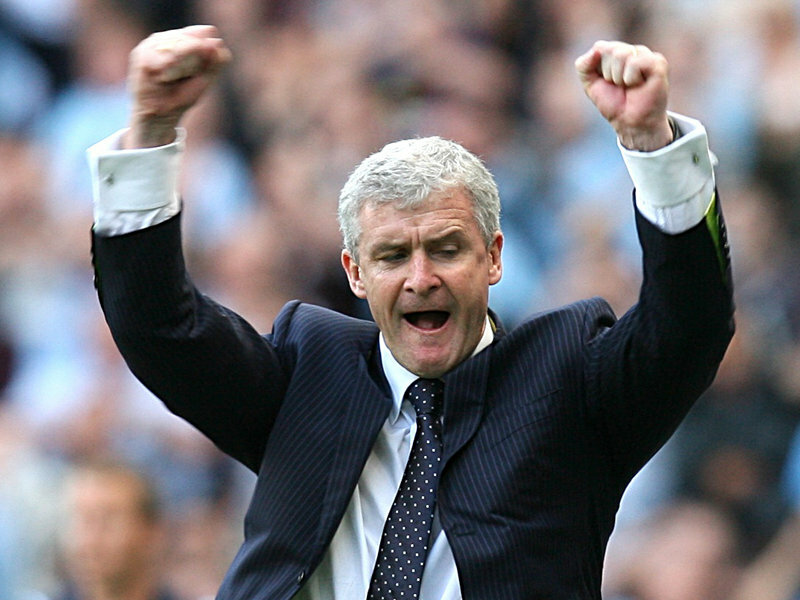 Preston boss Alan Irvine is on Reading’s short-list for their vacant managerial position. Djibril Cisse is closing down his classy Newcastle clothes shop The Pr9ject – sparking fears that the Sunderland striker will be leaving in the summer. Manchester City are set to join the race to land Aston Villa midfielder Gareth Barry. Tottenham will switch their attention to Juventus striker Vincenzo Iaquinta – if they fail to land Kenwyne Jones from Sunderland. French club Marseille have joined Wigan in showing an interest in Tottenham midfielder Didier Zokora. Coventry are chasing Leicester outcast DJ Campbell. Derby manager Nigel Clough is ready to get rid of £3million flop Claude Davis to Crystal Palace – for nothing. David Beckham is set to join Chelsea as part of Carlo Ancelotti’s blueprint for the club. Kanu is anxiously awaiting a decision from Portsmouth as to whether he is to be offered a new deal. Micah Richards has been assured he has a future at Manchester City. Aston Villa are preparing a £9million offer for Almeria’s 27-year-old left-back Mane. Fulham have turned down the chance to sign Derby’s Giles Barnes on a permanent deal. Liverpool’s pursuit of Portsmouth right-back Glen Johnson is gathering pace. A couple of seasons ago Spurs missed out on a top four position, and Champions League football, on the final game of the season. Then Martin Jol, who had guided them to 5th place for two successive seasons, made a poor start to last season and was sacked. 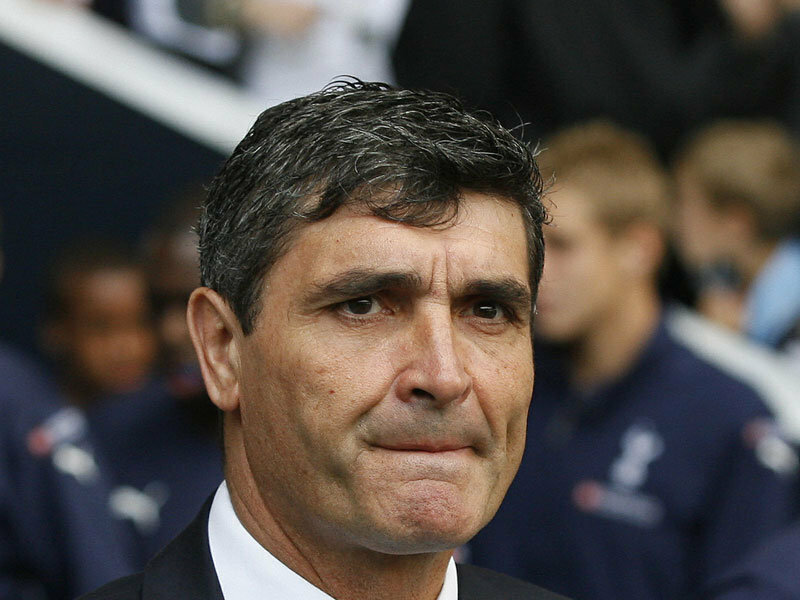 Juande Ramos was brought in after some impressive achievements at Sevilla in Spain. Yet now we find Spurs bottom of the table, win-less after six games, and off to their worst start in 53 years. There was much optimism for Spurs fans after last seasons Carling Cup win, beating Chelsea in the final, and the big spending that followed this pre season. Spurs were forced to sell their two star players, Robbie Keane and Berbatov, forced by the players want to leave, but managed to bring in Gomes, David Bentley, Giovani Dos Santos, Luka Modrik, Roman Pavlyuchenko as well as Manchester United’s young forward Frazier Campbell, on loan. Spurs fans believed that this season could launch them onto the big stage. After six games they have yet to win, yet to look like winning, and are bottom of the table, bellow crisis club Newcastle. There is little wrong with the playing staff at the disposal of Ramos. Spurs have one of the best squads in the league. They have a good young nucleus, made up of talented English players, such as King, Jenas, Lennon, Dawson, Bentley and Bent, and in Modrik and Dos Santos they have two potential world stars. Yet it has all gone so drastically wrong. There is an argument against buying to many new players at the same time, with the players, both new and old, needing to learn to play with each other, and foreign players needing to get used to English conditions and the pace and physical nature of the game. This argument would see a side show inconstancy’s such as are being seen at Manchester CIty, who are untouchable one weekend, beating Portsmouth 6-0, and then going out of the League Cup to League One Brighten, and losing to Wigan the next weekend. Spurs have not looked like winning a game. While there is a trend in English football to sack managers too soon, managers need time to build a team, Spurs must be stuck between a rock and a hard place as to what is to become of Ramos. If things aren’t turned around soon he will find himself out of a job. His work at Sevilla showed that he is a capable manager, and the players at his club are quality, yet something is going wrong. A lot of the blame has been put on the Berbatov situation. Yet this can not be an excuse. It was clear for a while that Berbatov was on his way out of Spurs, the situation should have been addressed by club and players and more confidence should have been shown on the players on the field. A bigger loss was that of Keane. Spurs are missing the Irish forward and the readiness of their ex vice captain to jump ship to Liverpool suggests more than just his boyhood support for the Anfield club. Clearly things aren’t right at Spurs. There are rumours that Ramos has shown an unwillingness to learn English. If this is the case it not only conveys the wrong impression on his staff and players, but makes it difficult for his vision to be translated. Gus Poyet has shown that he is a good young coach, and was said to be wanted by Manchester United and Newcastle, and is being wasted as a translator at Spurs. They demeanour and attitude of the players suggests that they are unmotivated and even clueless on the pitch. It is often far to easy and simplistic to blame the coach for most of the problems facing a club. But Spurs are a club in crisis and Ramos seems to be the main cause of this. Ramos may have come as the man who would deliver Champions League football to Tottenham, but he is rapidly running out of games to save his job. For many Spurs fans that day can’t come soon enough. Will City Be the Real Deal? So Manchester City are potential the richest club in world football and now have a supposed unlimited transfer kitty that goes beyond even Chelsea’s ludicrous spending. Bur are they the real deal? When Abromovictook Chelsea from a mid table team to the top of English football he revolutionised the London club witha spending spree that had never before been seen in world football. Chelsea’s first year of their rebirth saw them finish just off the pace to Arsenal’s unbeatables. The next year Mourinho came in and they won the title for the next two years. Then they finished 2nd the next year as Manchester United stormed back to the top. Mourinho was let go at the start of the following season and they again finished 2ndto United again. Last seasons loss to United in the Champions League final was their best performance in Europe. So with Chelsea as the obvious blue print, can Manchester City really reach the top of world football? 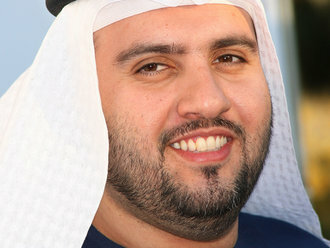 The Abu DhabiGroup have a worth that puts them way ahead of all the owners of football clubs, even Abromovic, and they have promised to bring the best players in the world to City, at any price, and have set their goals as a top four finish this season, title winners next season, and Champions League winners the next. It’s a pretty impressive target list, especially when you consider that Chelsea have yet to win the Champions League, and this season will be their 6th year under Abromovic. While their targets may be within reach, given their funds, and remember it only took Chelsea 2 seasons to buy the league title, their first goal, a top 4 finish may be out of reach for this season. Chelsea did it in their first season, but they had a whole preseason to go out andbuy. City’s take over left them with only a day to buy. They managed to bring in Robinho for a British record fee, but failed in bids for the likes of Torres, Villa, van Nistelrooy, Mario Gomes and Klaas Jan Huntelaar. So they working with the same players they had for this season before the money came pouring in, plus Robinho. City weren’t a top four team before Robinho joined, andthey won’t be one with him. That means that the next time City have an opportunity to flex their financial muscles is the January transfer window. This will really be the first time they will be able to show the world what their plans are. However it will be near impossible to bring in the players they want, the best players in the world. 90% of the worlds top players play for the best teams in the world. And those teams, minus AC Milan, will be in the Champions League, and thus, unless they have been knocked out, will not do business for their best players. So this leaves City with the next tier of players, and perhaps the players from the Champions League teams who only have an interest in money, the mercenaries. So they will have to throw money at these players, from teams not involved in the Champions League, and hope that those brought in will be good enough to settle in very quickly, and to shoot them up to a top four finish. I don’t see that happening. So maybe a more realistic goal for City would be to try finish as high as they can this season, bring in who they can in January, and really start over during the next preseason, where they will have the chance to buy big, get players settled, and have a realistic go at at top four finish. This season is too soon for the new challengers. With that said the City owners to have a lot going for them. They’ve obviouslydone their homework well. They have chosen a club with a new stadium, a strong fan base, an excellent youth system, anda strong manager. Mark Hughes has done remarkably well with a small budget at Blackburn andnow deserves his chance to show what he can do with financialbacking. Everything is in place for City to go as far as their new owners want them too. They just need to find out a way to attract the players they want to City, because not all of them will be doing it for the money. While some doubt that City will be a real threat, and Chelsea fans should be the last to say that, just give them a chance to see who they bring in, what they can do, and if Hughes can bring everything together, and the big four will not have things as easy as they have for the last few years. Some people may not like it, but it’s the way football is going, and will bring far more interest to the league, especially for neutral supporters. City have some way to go before they can be the real deal, but Chelsea did it, so why not City? The take over of Manchester City last season led many City fans to believe that they could be the new Chelsea. Despite spending more than ever, a great start to the season, and doing better than they had for a long time, their rebirth as the new Chelsea didn’t happen. It has now. The Abu Dhabi United Group have transformed City to a club with new heights to scale and and challenges to compete for. That the take over and transformation happened over night, and on the last day of transfer activity, means that we are unlikely to feel the effect of this move until January, when the transfer window reopens, at the earliest. There will however be a few nervous glances over their shoulders by the big four. While Spurs and Everton have flirted with the hope of a top four finish, and the Champions League that is the reward, there is now a realistic chance, and hope, that a real sustained challenge is on the horizon. This news will worry Liverpool, and maybe Arsenal the most. Chelsea may now have the second richest backer in football, but they still have the financial clout to keep buying their way into title challenges, and ensuring a top four finish for years to come. United have never finished out of the top three since the Premiership began, and as they have shown with back to back titles, after a three year drought, they relish the challenge of competing against the irresponsible spending of the blank cheque Chelsea. Arsenal have never been a big spending team, and are starting to look like a selling club at times, but instead rely on the prodigious talent and potential of their young stars. At times Arsenal are the best team in the country, and the world, and on rare occasions they are muscled out of games and end up chasing third place and not first. They will have a cautious look at what is happening in Manchester now, especially since they have refused to entertain the idea of being bought out by many on looking billionaires. The most nervous of all the big four will be Liverpool. They have some of the best players in the world in Steven Gerrard and, inparticular, Fernando Torres, and have added the guile and unorthodix skill of Robbie Keane to their ranks. Keane and Torres could be the best strike duo in Europe. The potential is there, they complement each other, the only thing they need, and this is where Liverpool have failed over the last 18 years, is for them to click. The back ground squabling by the owners, the manager, the chief executive and anyone else who cares to have a go, that has made Liverpool a virtual laughing stock of the elite clubs, and the news of yet more problems with the planned new stadium, mean that Liverpool are at risk of losing their top four place to the new kid on the block, Manchester City. City wasted no time in flexing their new financial might, with bids for Robinho, Berbatov, Torres, Villa, van Nistelrooy and another player, thought to be Huntelaar of Ajax. All bids were over the British record mark of 30 million pounds that Chelsea paid for Schevchenko, with the Torres bid in excess of 50 million. They only managed to bring in Robinho from Real Madrid for a new British Record of 32 million pounds. Significantly they signed Robinho when he appeared to be heading to Chelsea, who had even been selling shirts with his name on the back last week. Come January they have made it known that they will be spending whatever it takes to bring the best players in the world to Eastlands. Bids for Christiano Ronaldo, thought to be 135 million pounds, Cesc Fabregas and Buffon (70 million pounds) are in the pipe line, as well as many many more. Chelsea’s new transformation under Abromovic saw a spree of spending that could not be believed. City look to make that look small. These are interesting times for English football, and with the league crying out for a challanger to the top four it seems they may have found one. Buying success may not always work, but it has for Chelsea, so why not City?